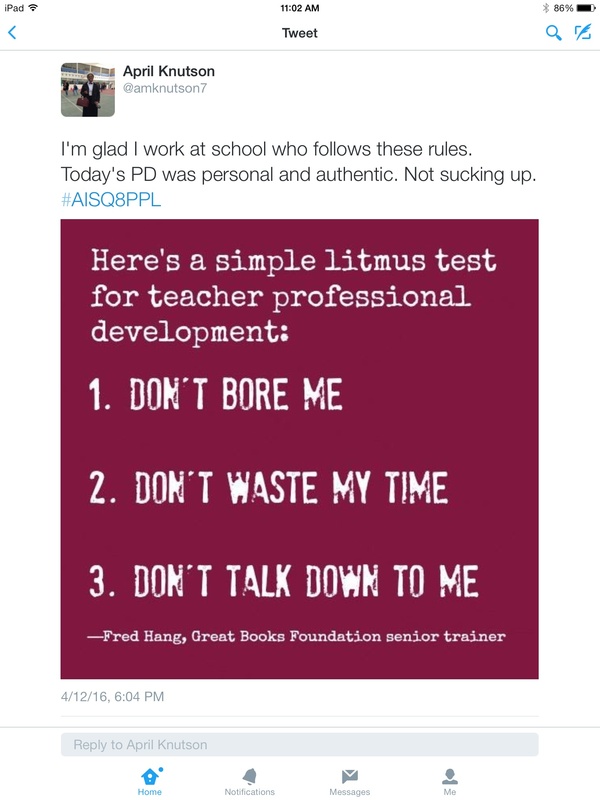 If it works for teachers… why not students? Last week I wrote about how my work with adults will change the way I interact with students with regards to issues of classroom management. The more I thought about it, the more I realized it will also change the way I approach planning for learning experiences. After two years working with adult learners I feel pretty confident with the structure I have used for professional development sessions. Why can’t I use that same structure with children? I had the sneaking suspicion that I could… and lucky for me the perfect opportunity presented itself! 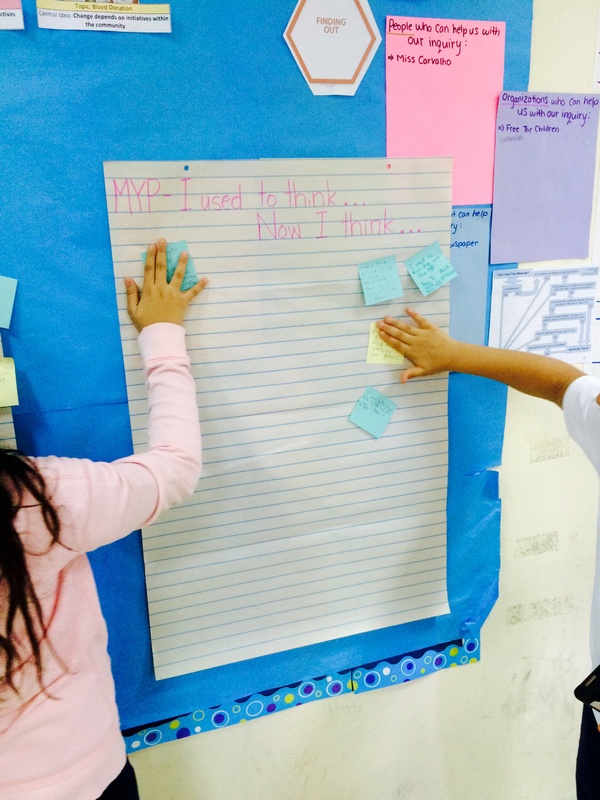 I was asked to facilitate a one hour “bridges” session to help our transitioning Grade 5 students learn about the MYP. 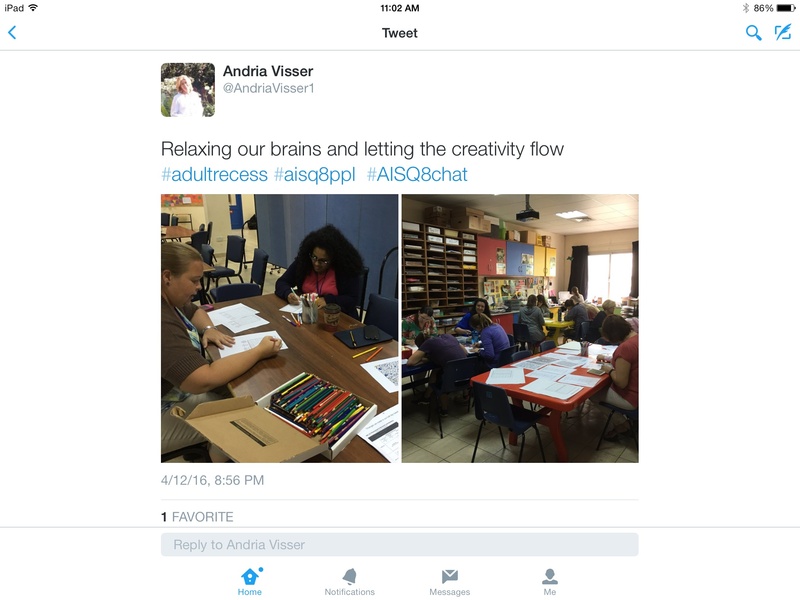 So I decided to approach it the way I would approach a one hour PD session with adults. 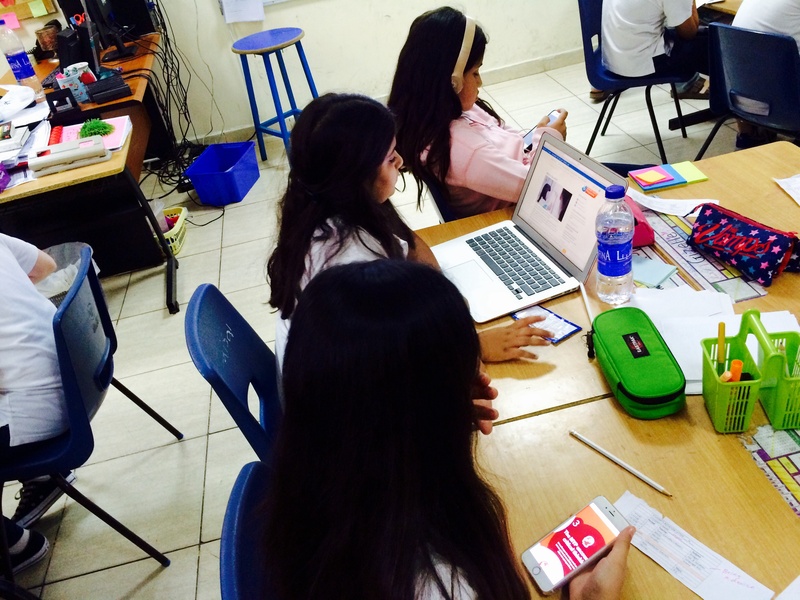 It was amazing to see that when given the opportunity, students were able to take ownership over their own learning. There was no “lesson” and I didn’t “teach” them anything… but there was learning. 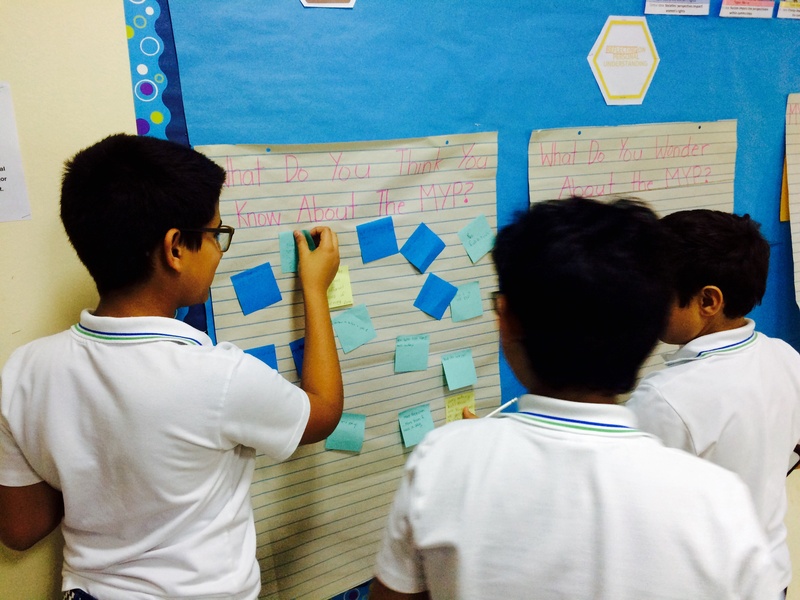 There was thinking, curiosity, self-differentiation, risk-taking, discussion, reflection and new understandings. 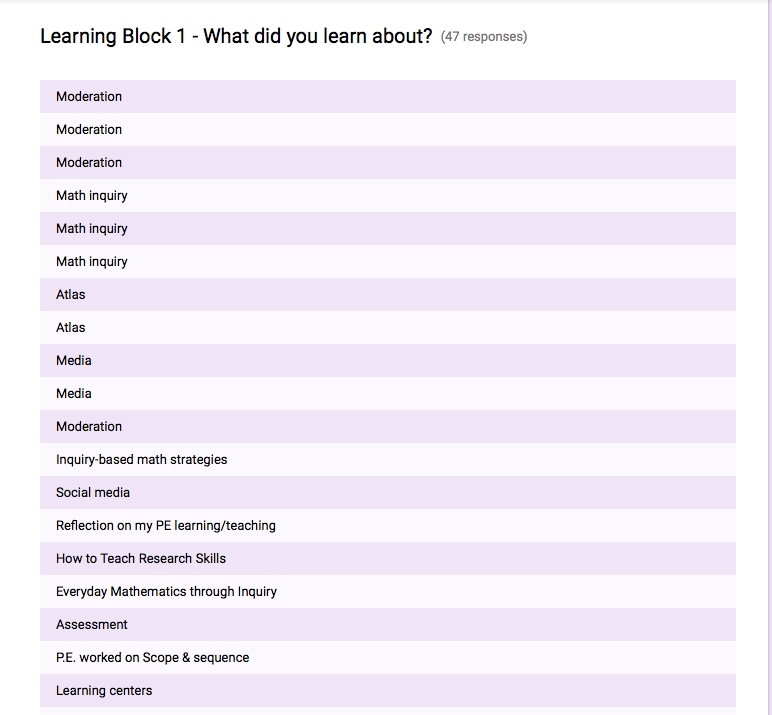 So, can I use the same structures to facilitate student learning that I use to facilitate teacher learning? …perhaps just with a little extra time and support! 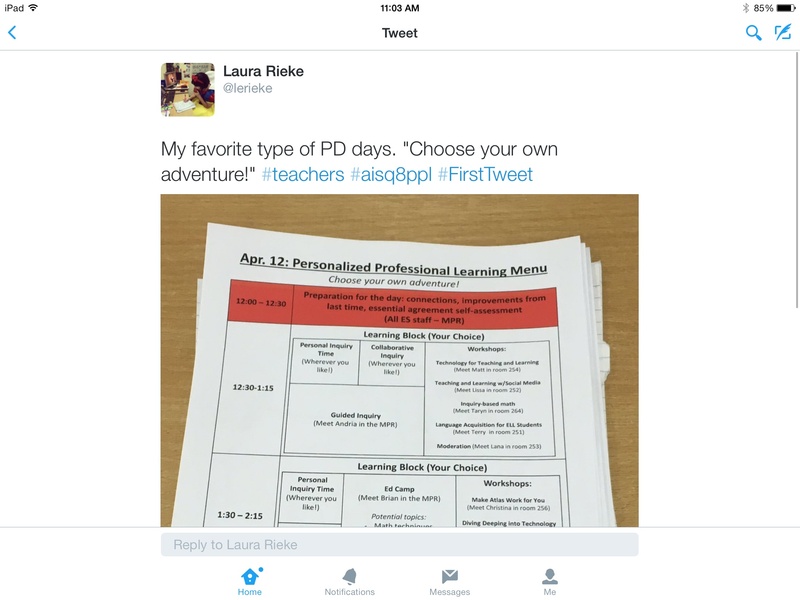 During this past year I have blogged about our first attempt at a half day of Personalized Professional Learning, then I wrote about our second iteration of Personalized Professional Learning. Now the big question… what’s next? 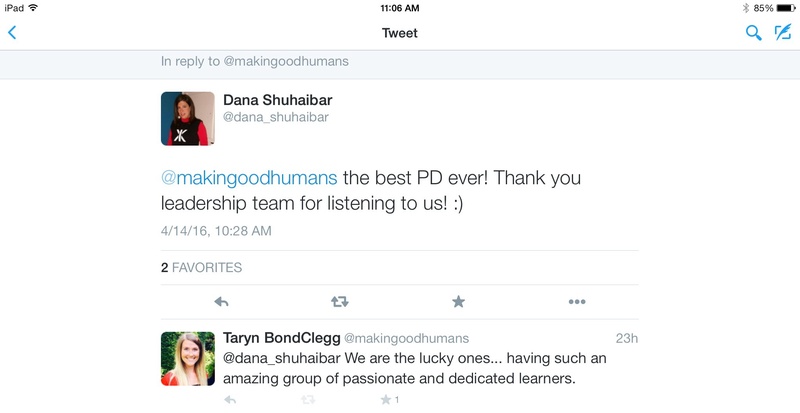 I think the next step is turning this model of PPL into the basis for a year long PD plan. This is the time of year that school teams are meeting to design professional development action plans for next year. If it were up to me, I would design the structures and systems to allow for a whole year of personalized professional learning. 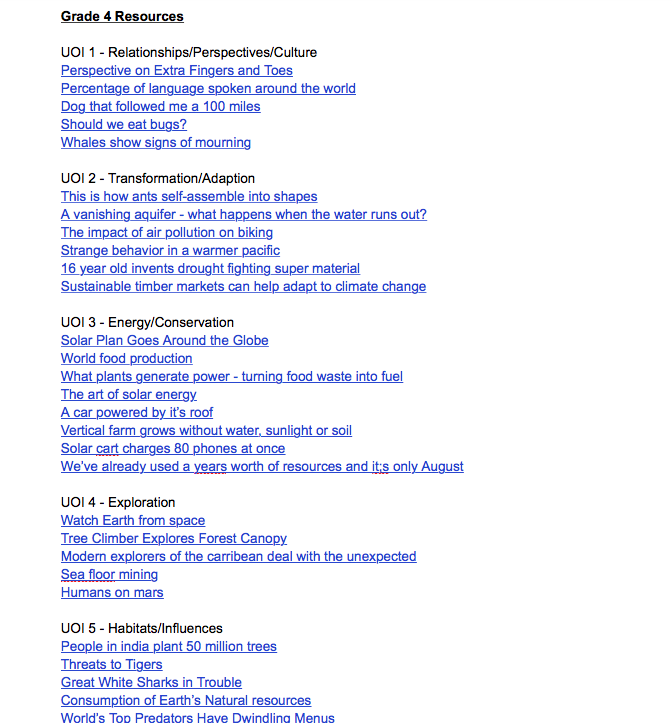 Usually, I blog about ideas I have tried and put into practice. This post will be the opposite. It will be about an idea – in the earliest phases of conception – that is purely hypothetical. At this stage, simply a vision. Nothing more. Yet. So here is my vision. I’d love to know what you think! 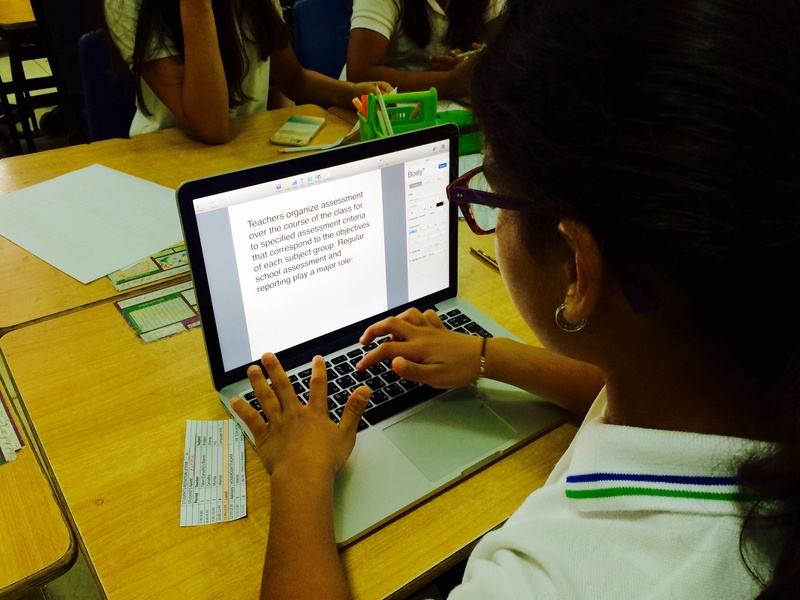 A professional learning time capsule – Many teachers use the idea of time capsule to help students’ tune into what they already know. 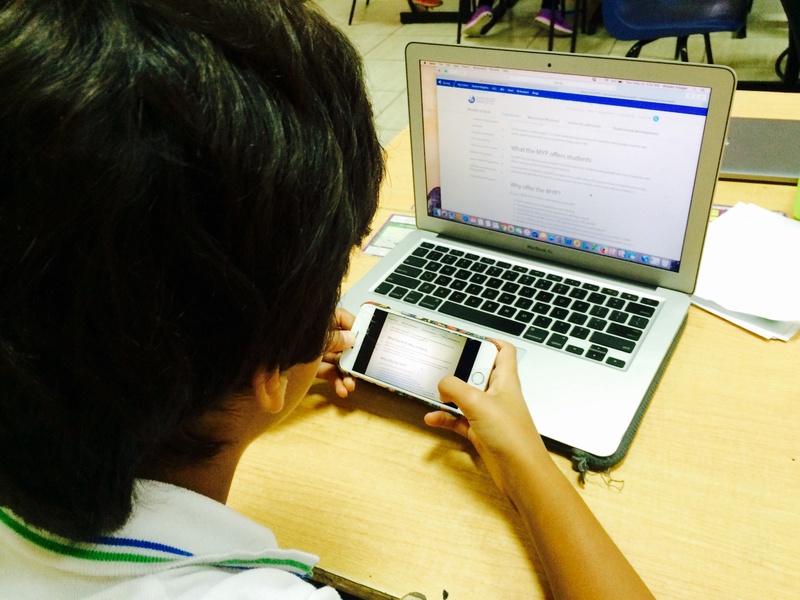 Why couldn’t the same diagnostic strategy be used for teachers? Administrators and leadership teams could take their school improvement plan goals and IB action plan goals and create an open-ended diagnostic assessment where teachers reflect on what they already know and can do as it relates to the prioritized topics of professional development for that year. 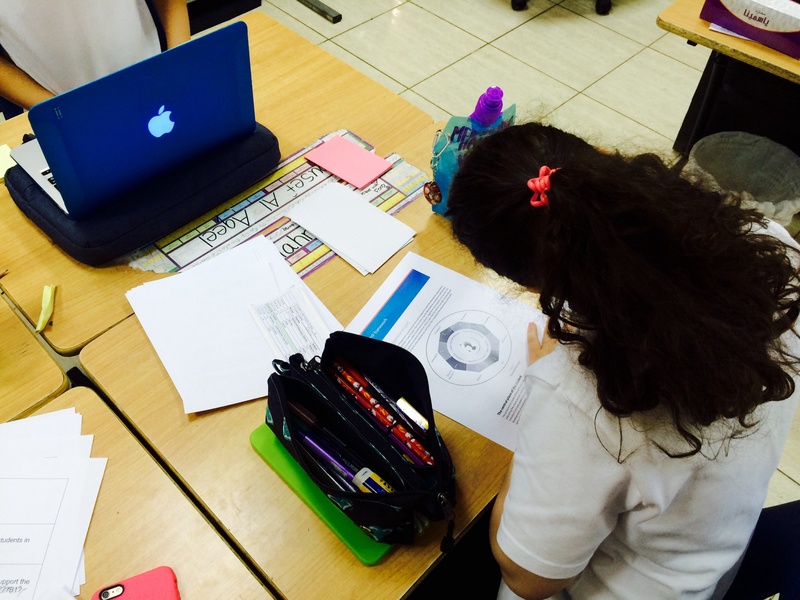 Personalized professional learning objectives – After completing the time capsule and assessing what they already know and can do, teachers can look for potential areas of growth in their own professional development within the context of school chosen areas of focus. These self-identified areas for growth could then be turned into personalized professional learning objectives – or what is commonly known in adult education as learning contracts. 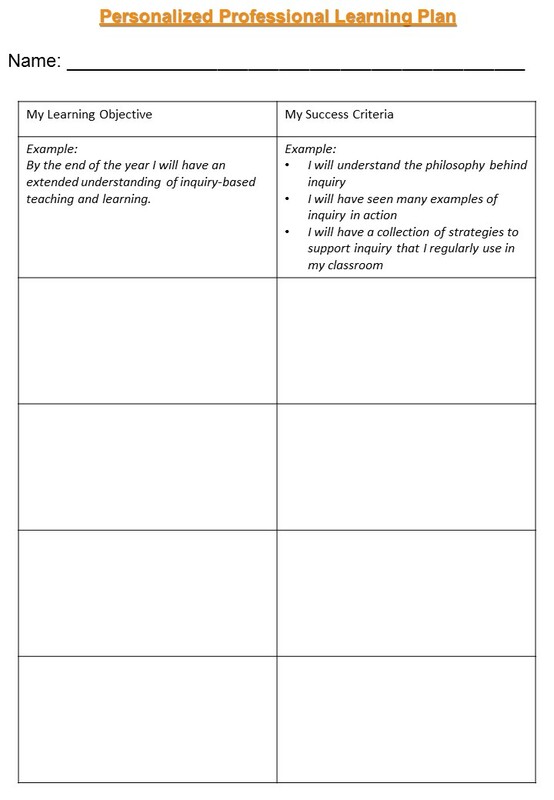 If based on the time capsule and self-assessment, a teacher realized they have beginning understanding of inquiry-based teaching they would then create personalized professional learning objective about inquiry-based teaching. 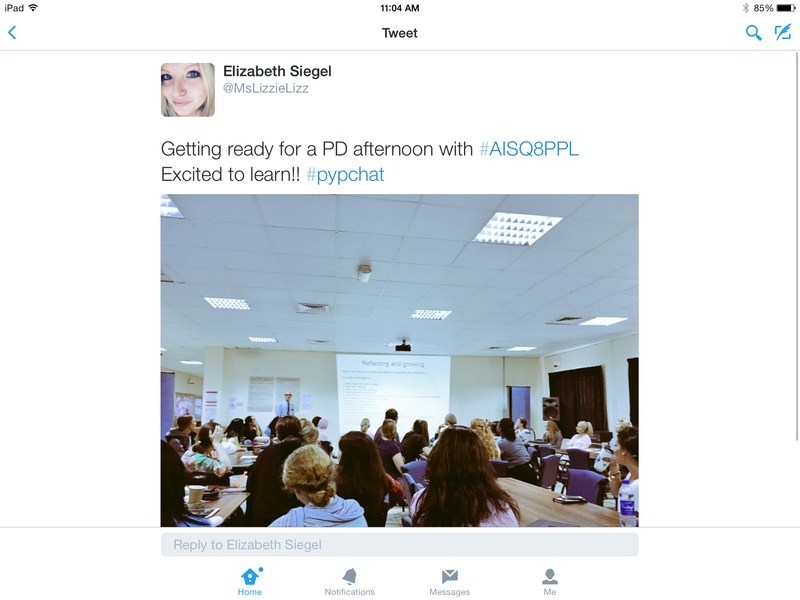 Personalized professional learning conference – If a teacher was asking a student to complete a self-assessment it would be followed up by a conference where the teacher reviews and reflects on the student’s assessment with the student. 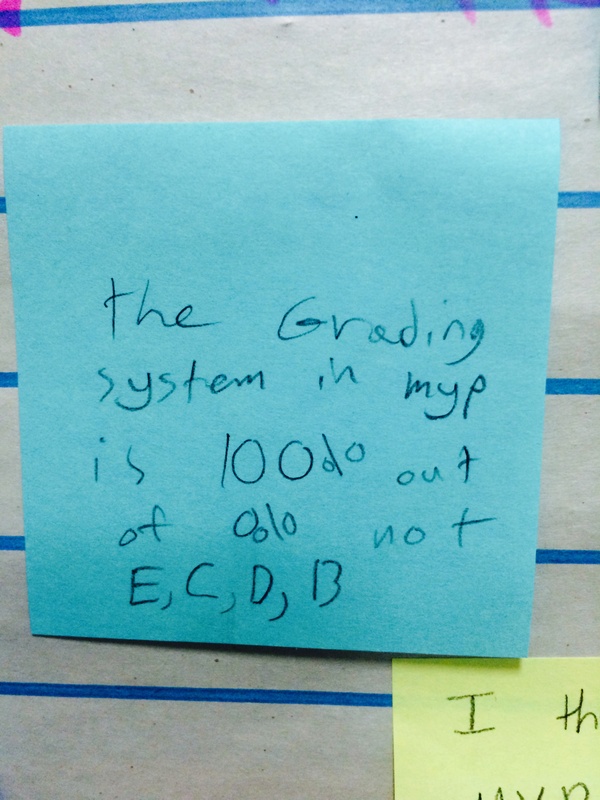 A teacher’s self-assessment should be no different. After teachers have self-assessed their learning time capsule, set their own learning objectives and developed their own success criteria they could meet with an administrator or a member of the leadership team to review their personalized professional learning plan. This is where leaders can review the time capsule and have conversations with teachers to uncover misconceptions and gaps in professional knowledge that teachers may not have identified for themselves. 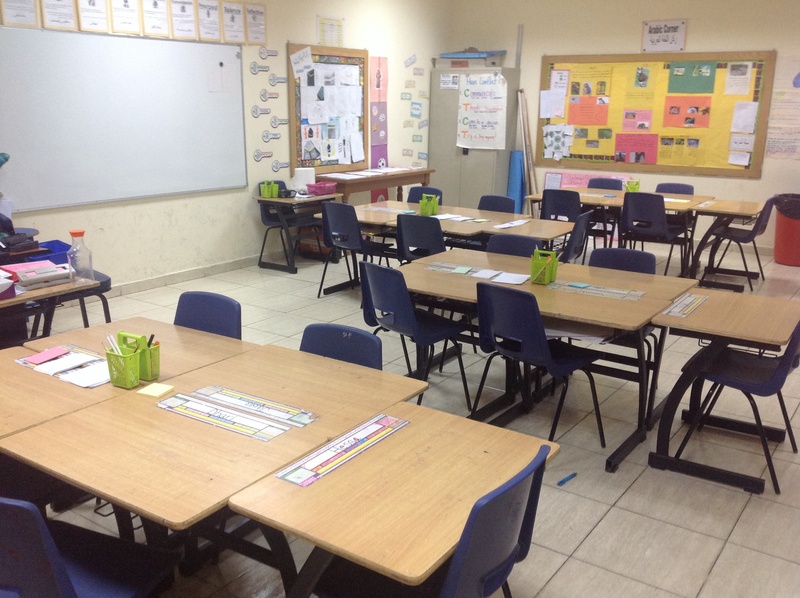 For example, if a teacher has self-assessed that they have a competent understanding and skill set to support English Language Learners, but through reviewing the time capsule and having a conversation the leader thinks there is more room to grow, the leader can suggest the teacher adds it to their personalized professional learning plan. If this seems like a long, time consuming process that’s because it is. Tuning in is not something to be rushed in order to get on with the learning. Like Kath Murdoch says, it IS the learning. Taking the time to build a diagnostic assessment tool around the school improvement plan goals and IB action plan goal, then allowing staff to self-assess against those areas and become aware of their own learning and then having teachers meet with a school leader to discuss their personalized professional learning plan are essential steps in setting the stage for the rest of the year of personalized professional learning. Selecting a focus or two – Before a professional development day or afternoon, it would be important to help teachers select one or two areas of their professional learning that they would like to focus on. We have done this two different ways during our first iteration of PPL and our revised model of PPL and both proved to be effective. 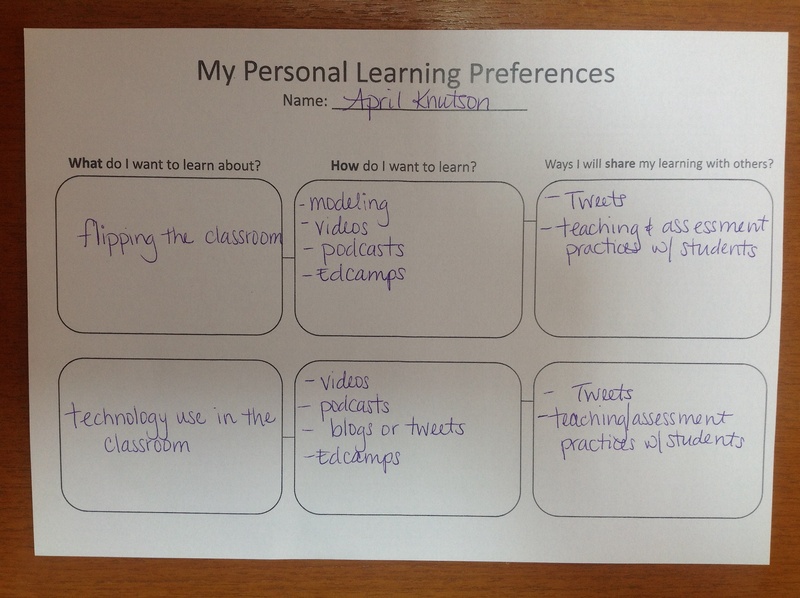 If teachers already had a list of personalized professional learning objectives, they would only need to refer to the list and choose the one or two areas they felt most passionate about. 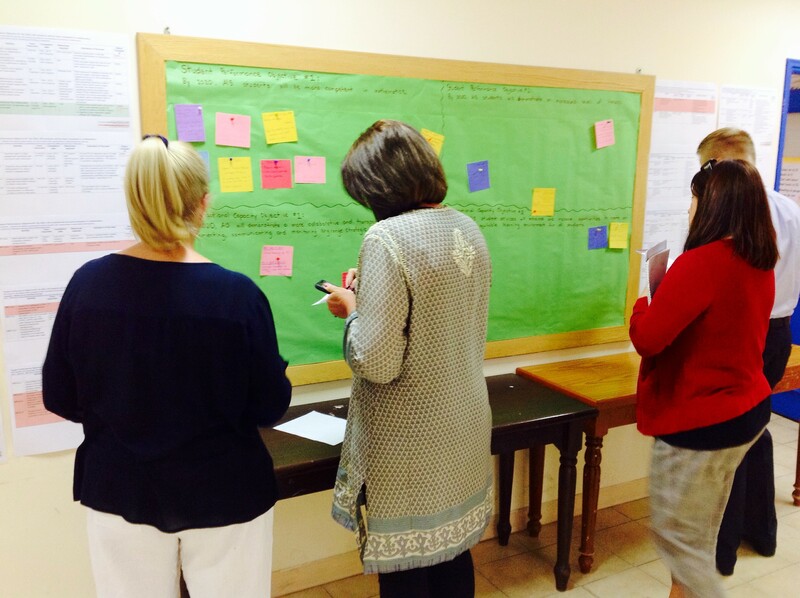 Planning in response to learning – Once teachers have identified what they want to learn about it, leaders could collect data about how teachers want to learn. Personal inquiry? Collaborative inquiry? Workshops? Meeting with an instructional coach? Gathering data about how teachers want to learn can then be used to build a structure for a day or afternoon that supports personalized professional learning. 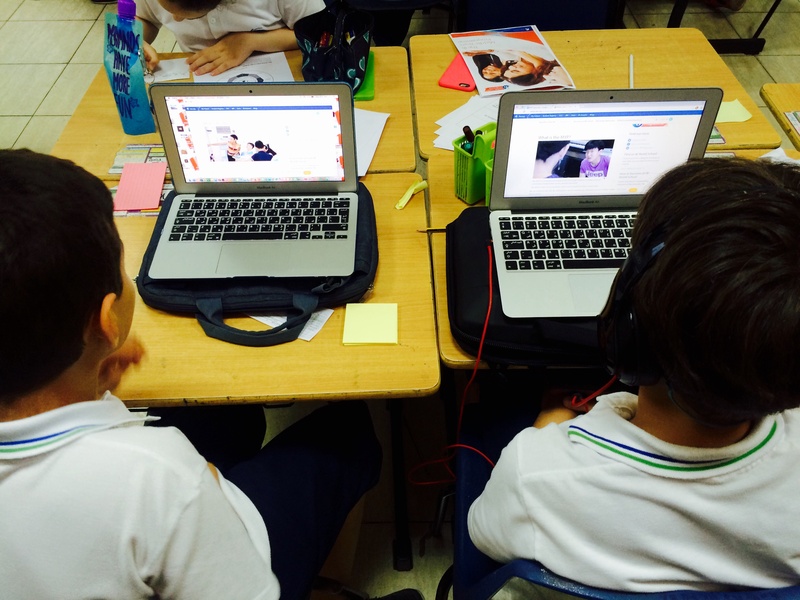 Let the learning happen – Once the day is planned and teachers know what they want to learn about and how they want to learn… get out of the way and let the learning happen! 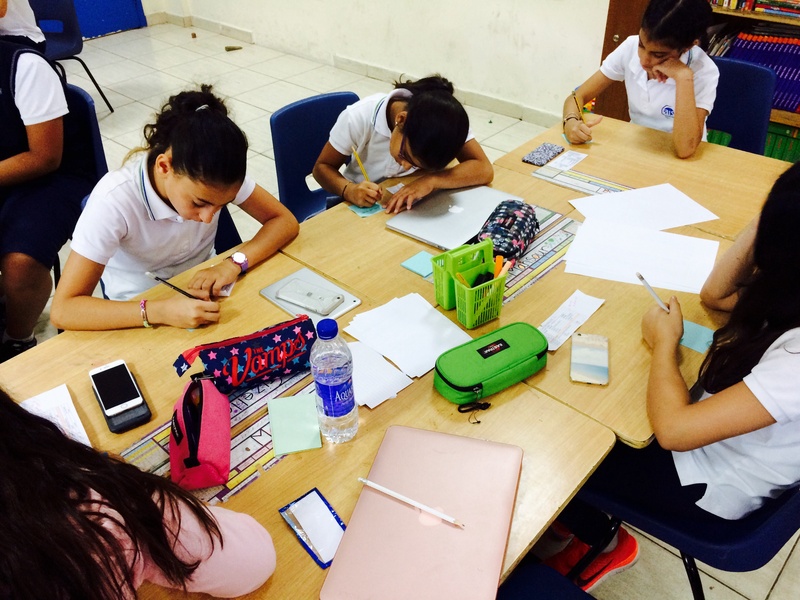 Assessing the learning –Once the day or afternoon is finished, teachers could refer back to their success criteria and reflect on whether they have met their targeted learning objectives of the day, or whether they need to continue to pursue further learning opportunities. Repeat – The next time another scheduled PD day rolls around again, have teachers refer back to their personalized professional learning objectives select one or two objectives they would like to start working on (or continue working on), plan the structure of the day in response to the needs and preferences of the teachers, let the learning happen and then build in time for assessment of progress. 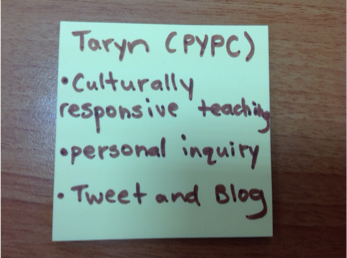 This process could be used every time there is the opportunity for professional development. Once the systems and structures are in place, there is minimal planning that needs to be done by the leadership team. 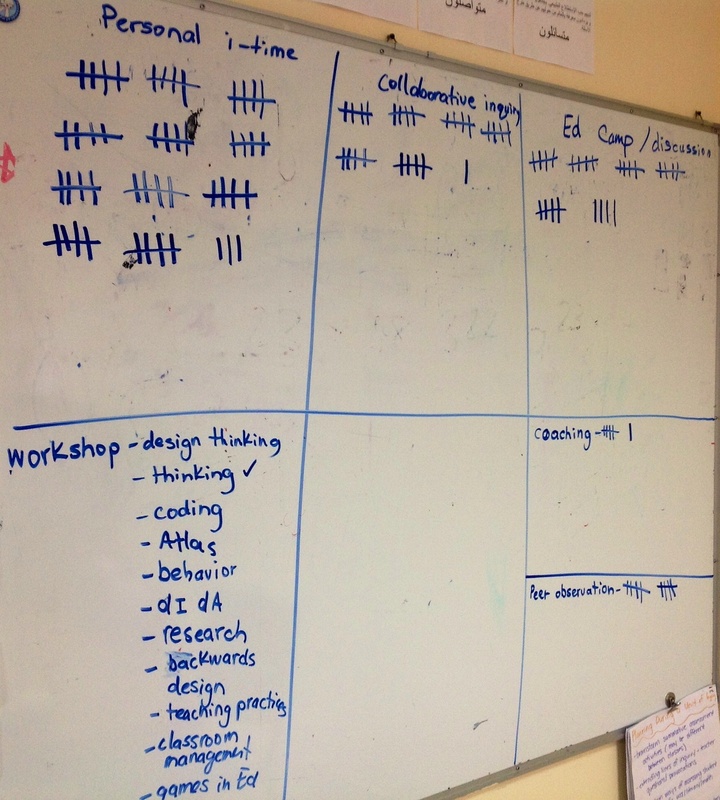 Isn’t that the sweet spot of inquiry – low prep for “teachers”, high engagement, ownership and learning for “students”? There are also some great opportunities for formative assessment and feedback throughout the year. Bring out the time capsules half way through the year and have teachers add, change and remove things to better reflect what they know and can do now. Or have a mid-point conference with the same leader as the beginning of the year discuss progress and growth. Revisit their professional learning time capsule – Provide all teachers with either a blank copy of the same time capsule you used at the beginning of the year, or the actual time capsule they filled in and let them update their time capsule to reflect all that they have learned over the year. 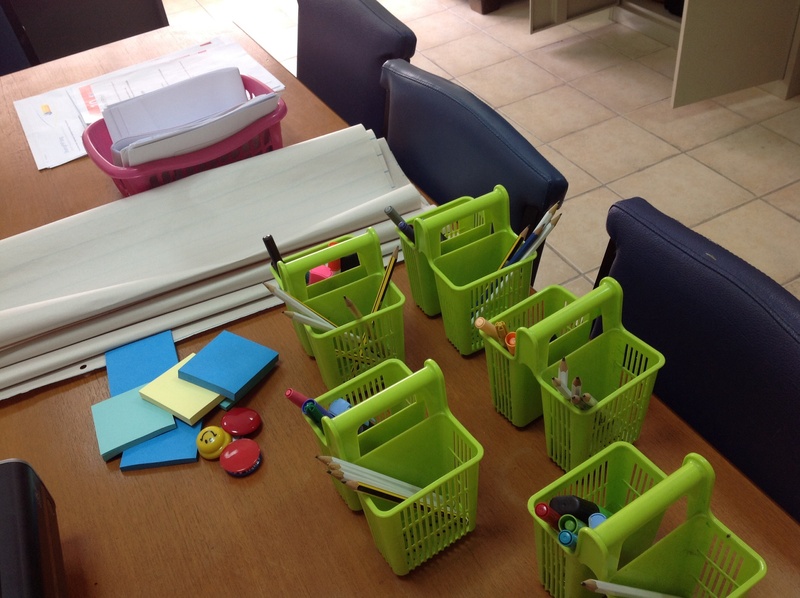 This will be a great way to help make their learning visible. 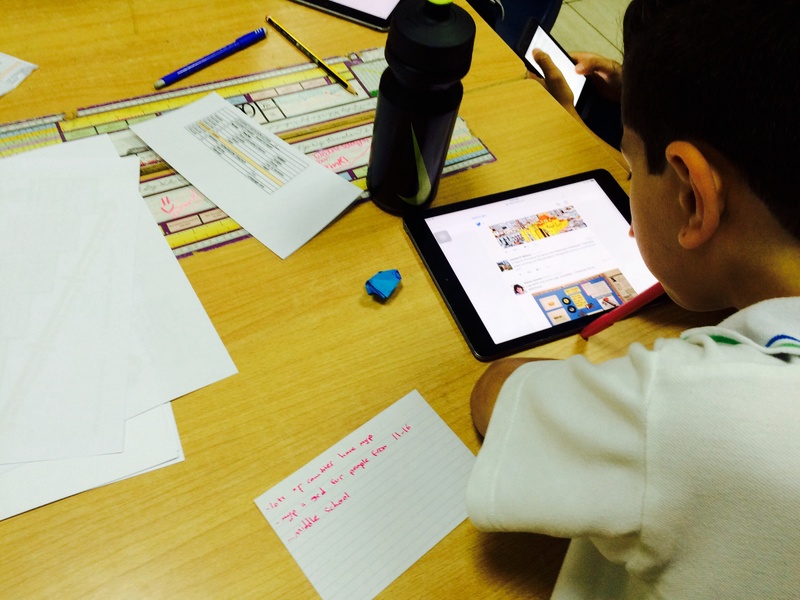 Self-assessment – For each area of the time capsule, teachers could indicate where they are now with regards to their professional knowledge and practice. Hopefully this would allow teachers to see that in certain areas they have moved themselves along the spectrum. Teachers could also reflect on their success criteria and evaluate whether or not they have met the success criteria for each of their personalized professional learning objectives. 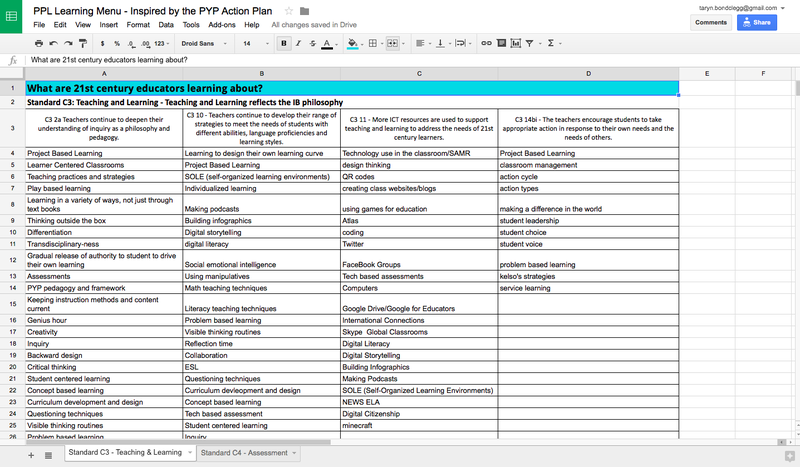 If there is criteria that is not met (yet), that could be a great starting point for the following year’s personalized professional learning plan! 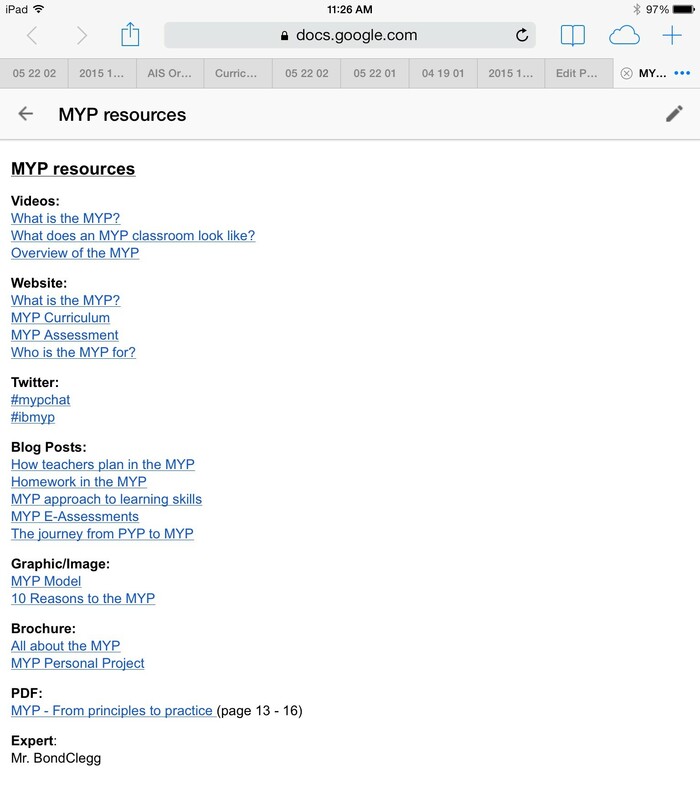 Share and celebrate – Provide teachers with time to consolidate their learning and decide what they want to share with their learning community. 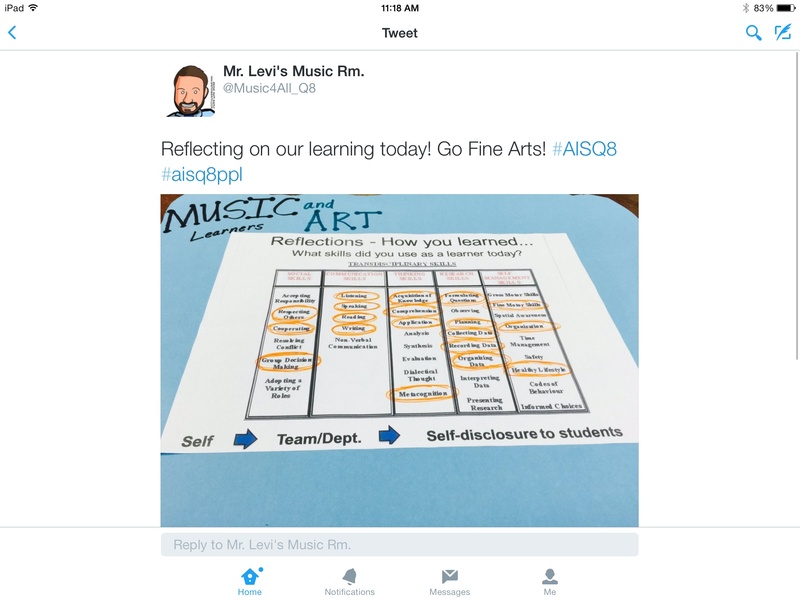 Using the RAFT format can be quite helpful to allow teachers to choose what they want to share and how they want to share it. Sounds like the potential for a mini teacher Exhibition! I’m a firm believer that every single thing we expect from teachers in the work they do with their learners – assessment, inquiry, differentiation, personalization, learner voice and choice, reflection, ownership, action – should be purposefully modeled in the work leaders do with their learners. I think this model presents a way to allow for all of the aforementioned best practices, while at the same time working towards school-wide goals and objectives. 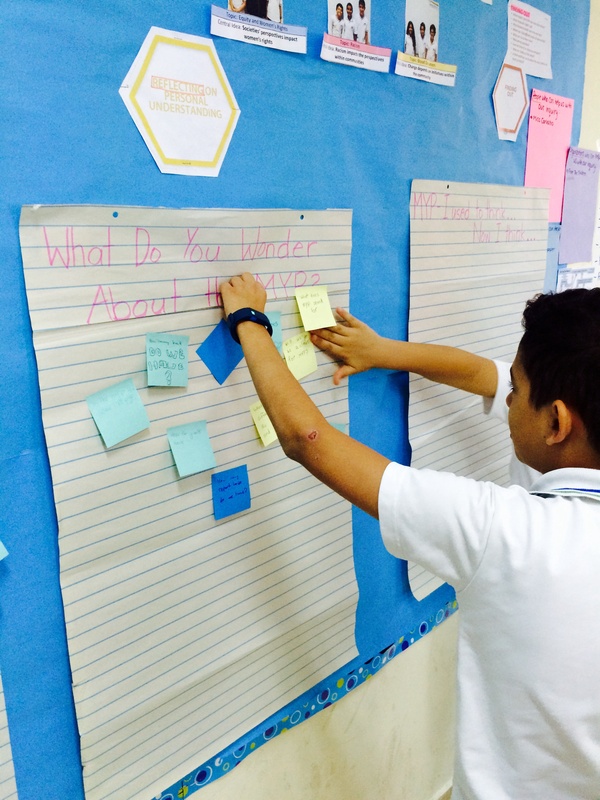 Teachers are doing a great job helping their students reach standardized curricular goals and objectives in inquiry-based, differentiated ways. School leaders can and should be doing the same in their models of professional development. 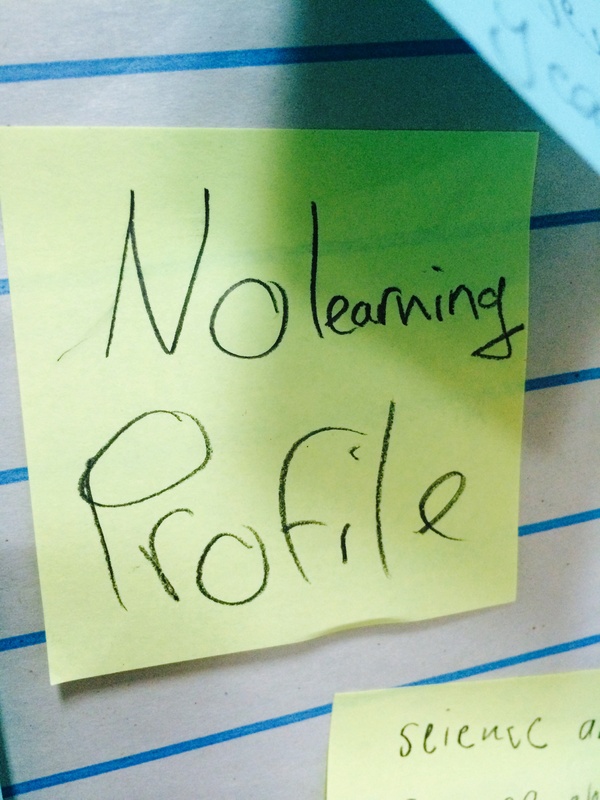 I realize that I have referred to the learners as “teachers” throughout this blog post. I think this model could work for an entire school community. Every staff member – counselor, TA, coordinator, administrator, coach – could participate in all of these activities and develop themselves as professionals. In fact, the leadership of a school should be intentionally modelling this process for the staff and should be positioning themselves as the lead learners. Where are the gaps and weaknesses in this model of PD? 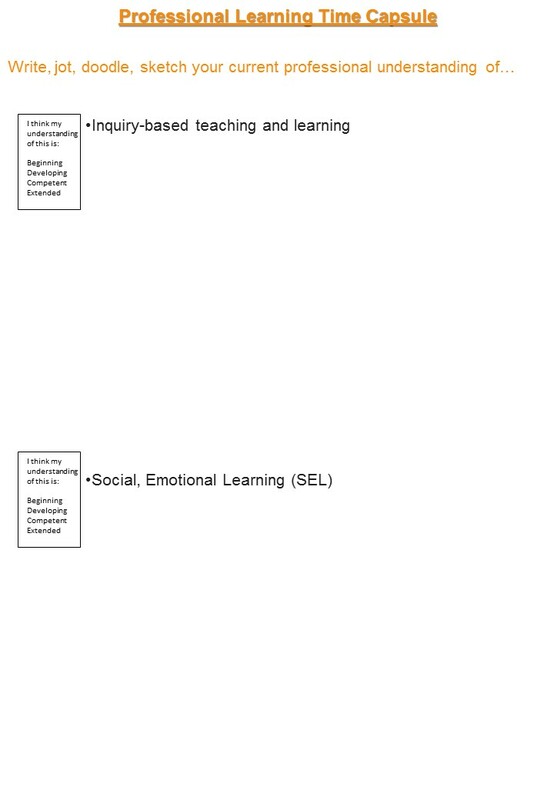 How could I refine this vision to further support teachers as learners while meeting school goals and objectives? 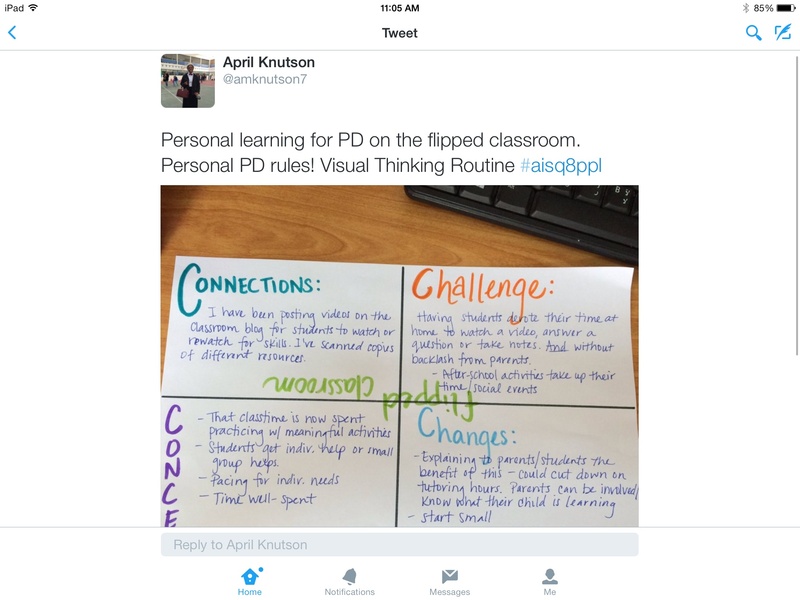 Personalized Professional Learning – Take Two! 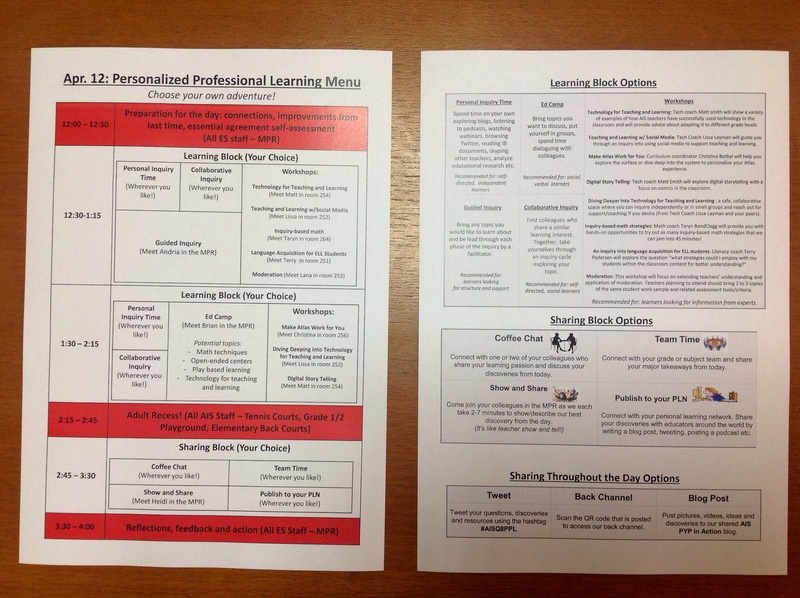 A few months ago, my partner in crime and I had a crazy idea to design a model of Personalized Professional Learning that would hopefully model for our staff, what we expect to see in their classrooms. Our first attempt at PPL went really well and we received awesome feedback from our staff – but we wanted to challenge ourselves to reflect, refine and improve the model further. 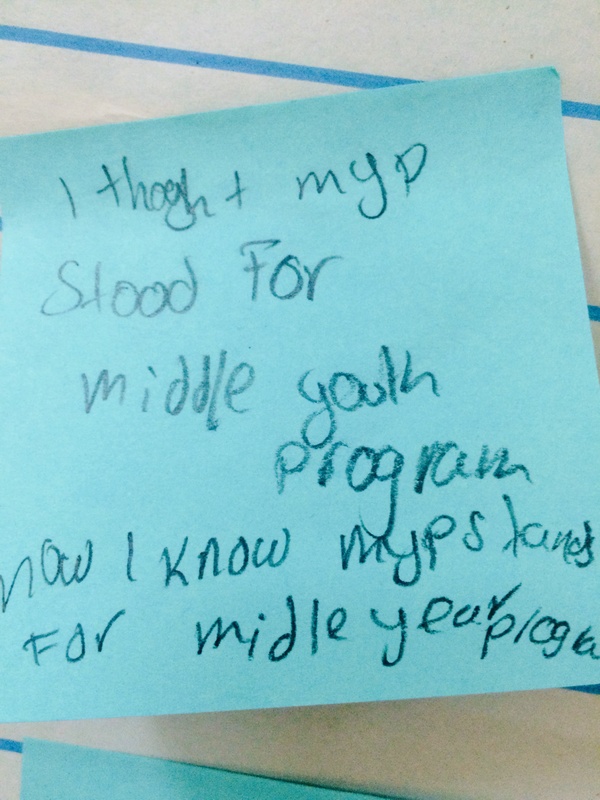 Our biggest area of self-identified growth was linking everyone’s personalized learning to our School Improvement Plan goals and our PYP Action plan goals. 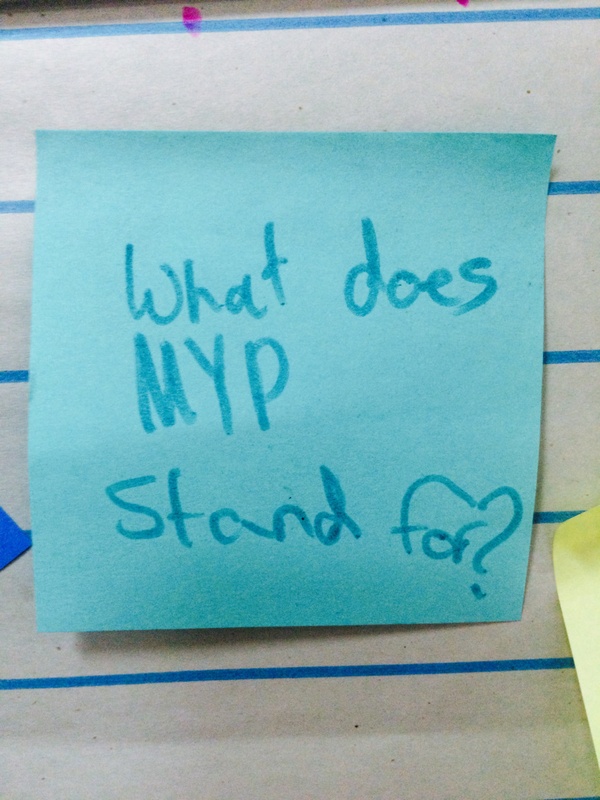 When reflecting on our first iteration of PPL, we realized we had modelled open-inquiry. 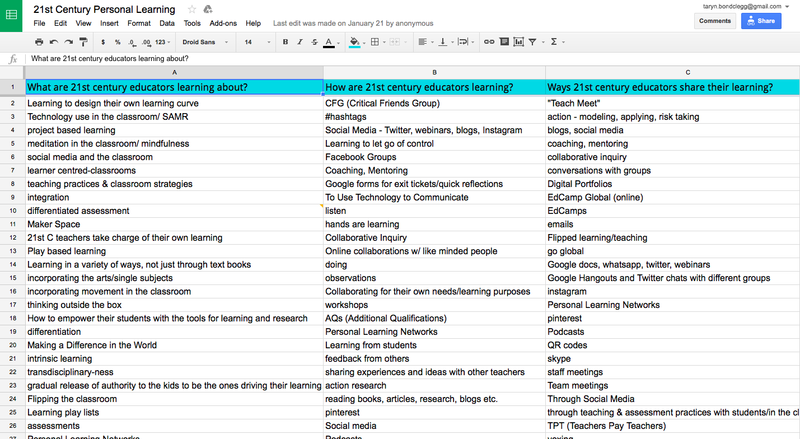 We asked our staff “What do you want to learn about” and we structured an afternoon to support those goals. However, open-inquiry is often a luxury teachers -and we’ve come to discover – administrators do not have. Teachers have curriculum goals that students need to meet and administrators have school improvement plan and IB program action plan goals that staff need to meet. 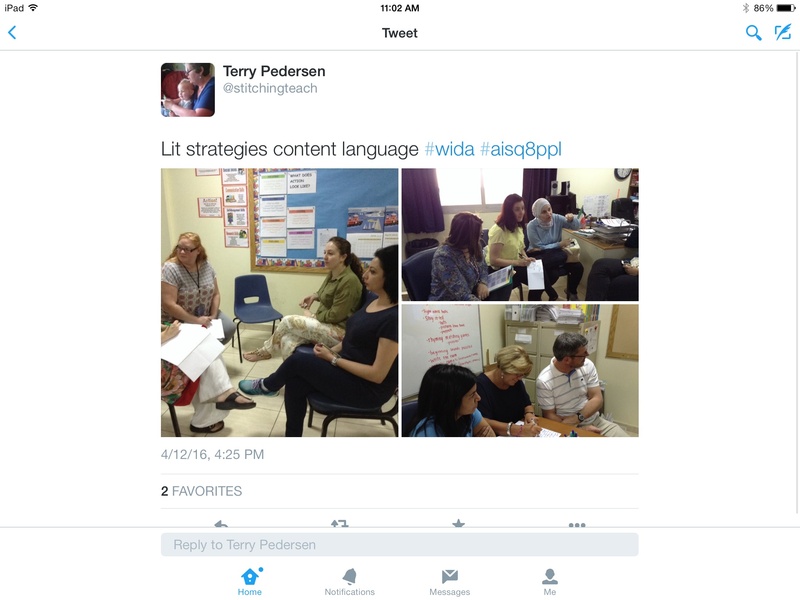 Thus bringing to light our challenge when designing the second iteration of PPL – how can we design a half day of personalized professional learning that is inquiry-based, differentiated, built on learner voice and choice… but still guides our staff towards meeting our school and program goals? 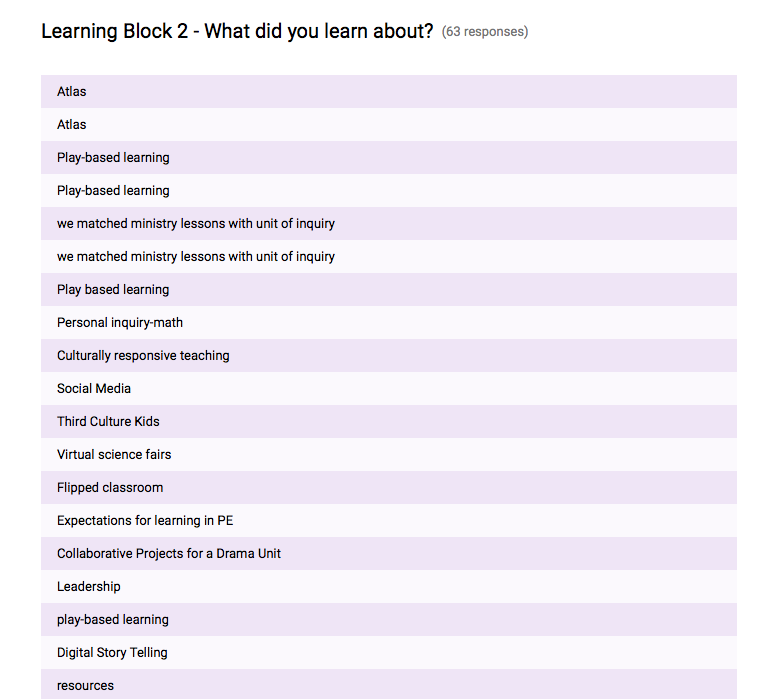 Last time, our staff collectively built a learning menu that listed many different topics 21st Century teachers are learning about – maker space, play, e-portfolios, etc. 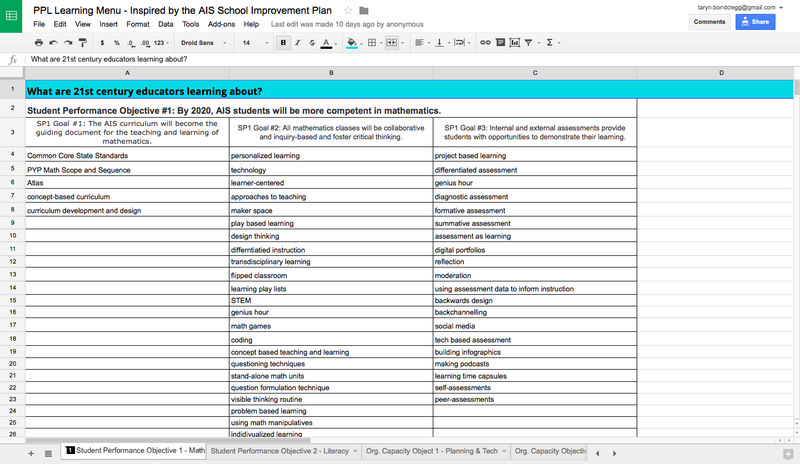 We realized that many of those topics ALREADY contribute to our School Improvement Plan (SIP) goals and IB Action Plan (IBAP) goals – we just needed to make the connections more explicit. So our 8 person leadership team sat down and re-organized the menus by SIP goals and IBAP goals. This resulted in new learning menus that had all the same staff-selected topics of interest, but organized in a more purposeful way. At our school, we advocate for “no secret teacher business”, which means we also need to model “no secret leadership business”. So we were honest, vulnerable and transparent with our staff. 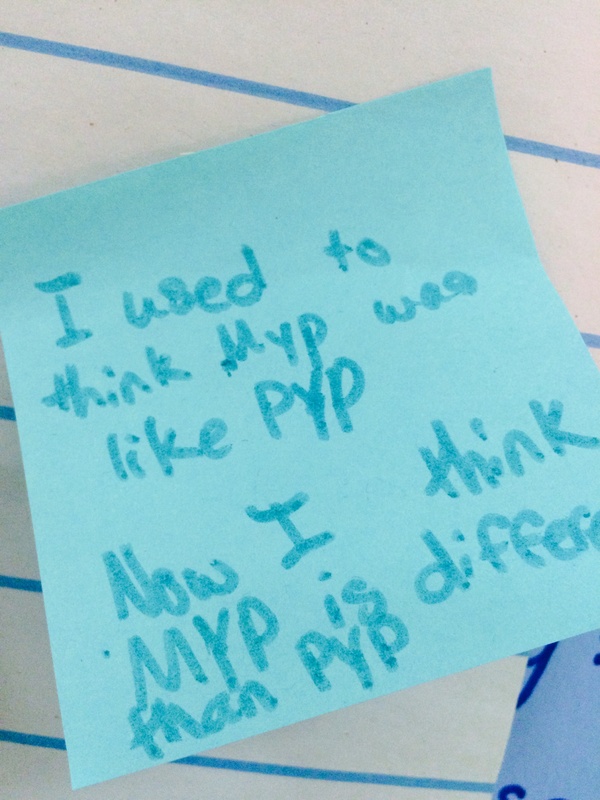 We openly reflected on both the strengths an areas of growth of our first attempt at PPL. We admitted that we had used a model of open inquiry, and we were clear that next time we wanted to implement a model that was more guided and informed by our SIP and IBAP. 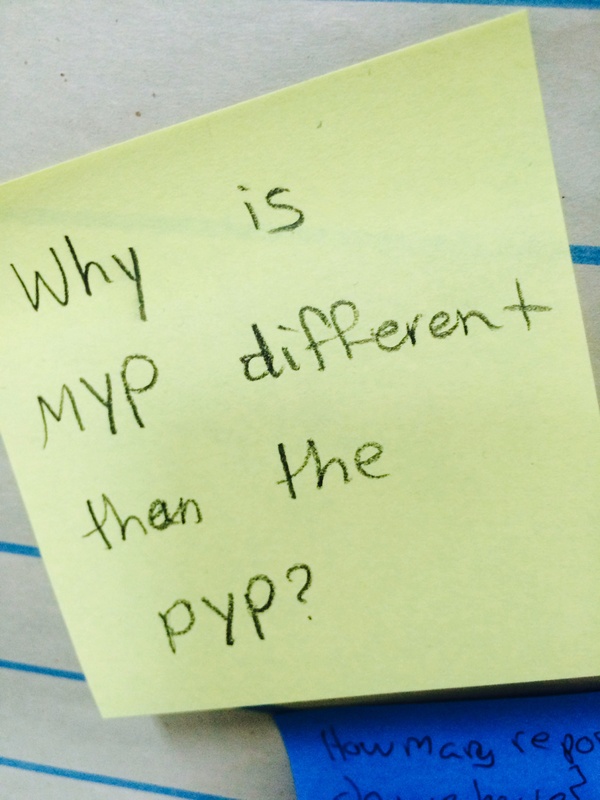 To get our staff to begin to think of PPL in this way, we did an activity where everyone reflected on what they learned about during our first attempt at PPL and tried to retroactively find a connection to our School Improvement Plan or PYP Action Plan. We posted goals from our SIP and IBAP around the room and gave stickers to all staff to post based on goals that connected to what they had learned about on our last half day. We shared with our staff, that even though it was great that so much of our learning accidentally contributed to our SIP and IBAP, this time we wanted to ensure that our PPL purposefully contributed to our school and program goals. Similar to last time, we wanted to give our staff some time to think about what they would learn, how they would learn and how they would share their learning for our upcoming half day – the difference being this time, we wanted their “what” to be linked to either a School Improvement Plan goal or PYP Action Plan goal. In order to do this, we used an after school staff meeting to give staff time with our newly organized learning menus to think about how they might to spend their upcoming half day. 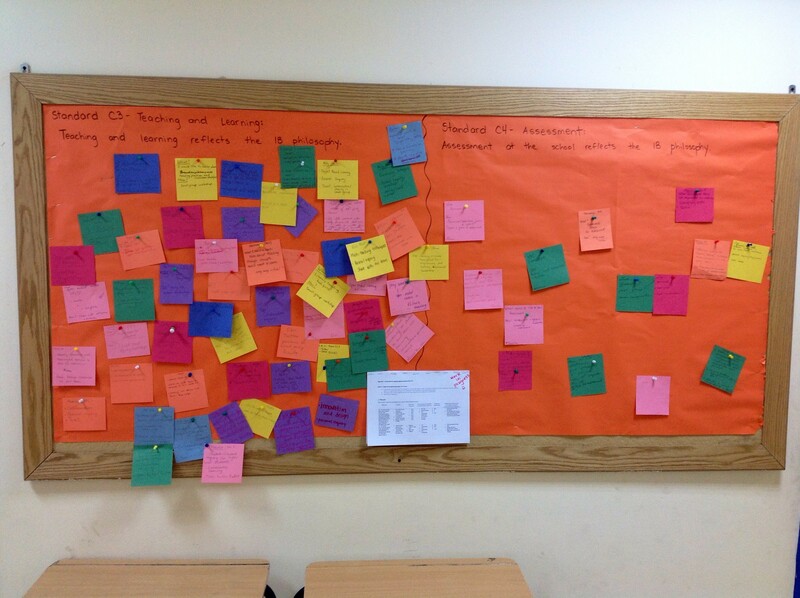 Each staff member took a few small colour squares and wrote down what they wanted to learn, how they wanted to learn and how they planned to share their learning with others. 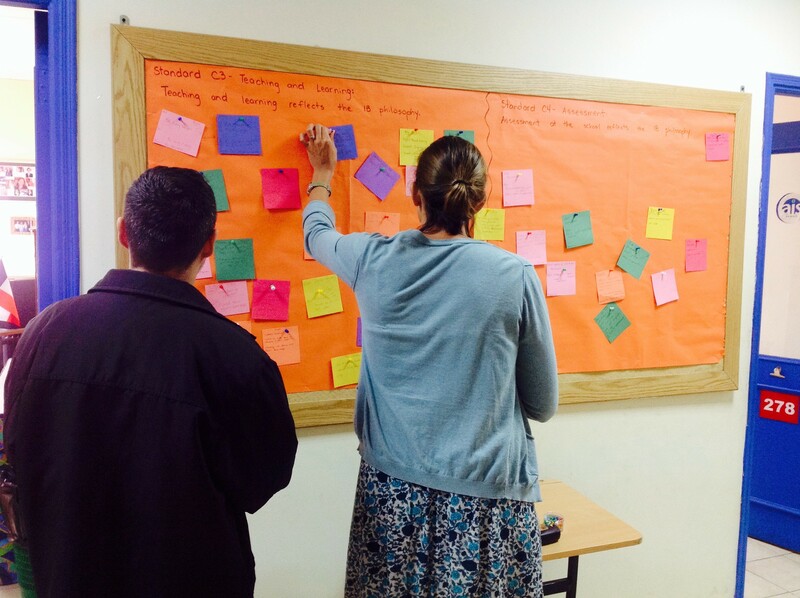 Then, they had to post their squares on bulletin boards that we had divided up based on our School Improvement Plan and PYP Action plan. This allowed everyone on staff to not only be purposeful about what they wanted to learn and how it contributes to school and program goals, but it was also a great way to allow everyone to see what everyone else was interested in learning about on the upcoming half day. Similar to last time, our leadership team wanted to plan the structure of the half day based on the learning needs and interests of the staff. 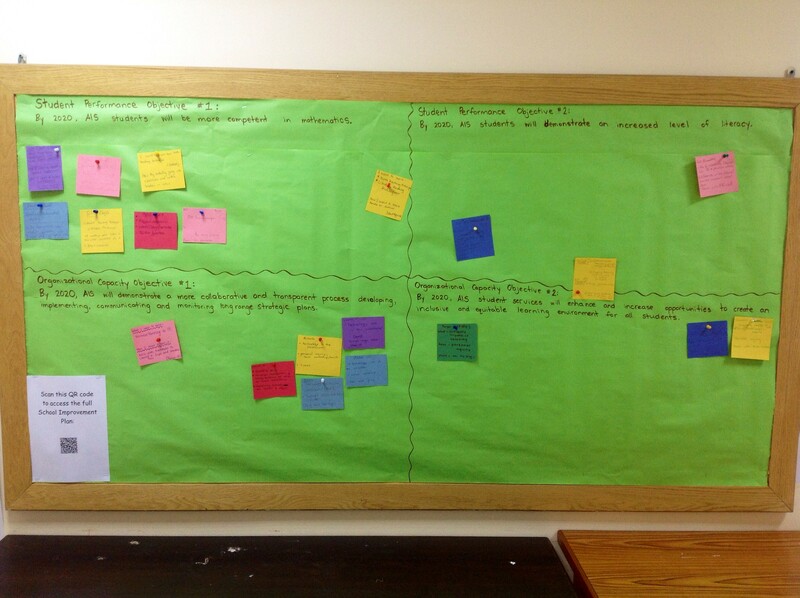 In order to do this, we looked at our bulletin boards and recorded how staff wanted to learn and what specifically they wanted to learn about. We analyzed the data, specifically paying attention to numbers and trends in order to figure out how best to structure our half day of personalized professional learning. 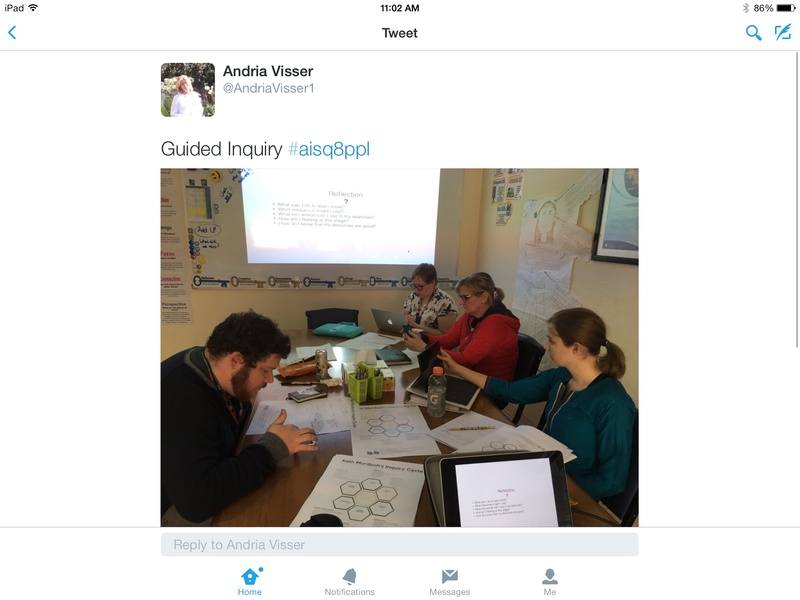 This approach revealed that most of our staff was interested in personal inquiry and collaborative inquiry and some of our staff was interested in workshops, mainly about math, literacy and technology. This allowed us to build a structure for our half day that was representative of our learners’ needs and interests. On our half day, we gathered as a whole staff to review the structure of the day, review our essential agreements and set personal goals. Then we just stepped back and let the learning unfold. It was amazing to see some staff attend workshops, some staff inquiring collaboratively and other staff pursuing areas of personal exploration. 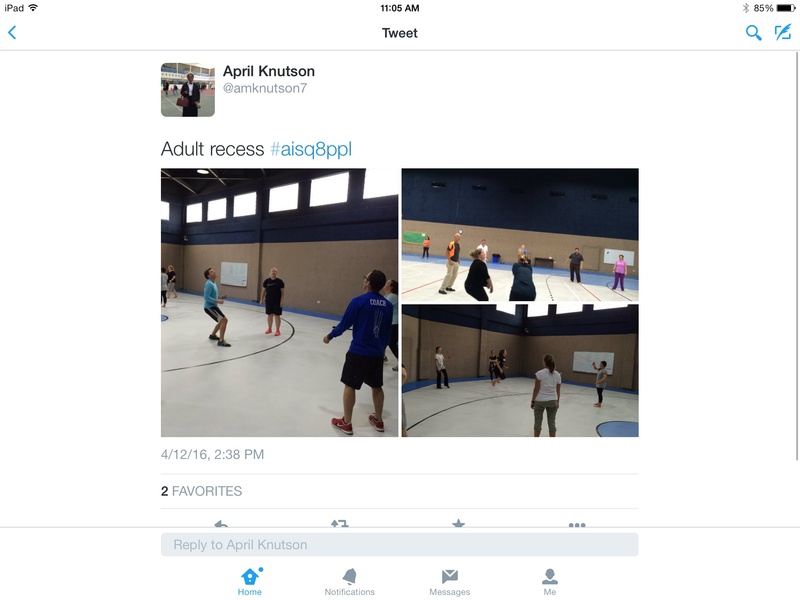 OF COURSE, we kept adult recess which proved to be one of the day’s highlights again! And we finished the day reflecting on what we learned and how we learned. Always, at the end of professional development, we collect feedback from our staff about what went well and what could be improved for next time. 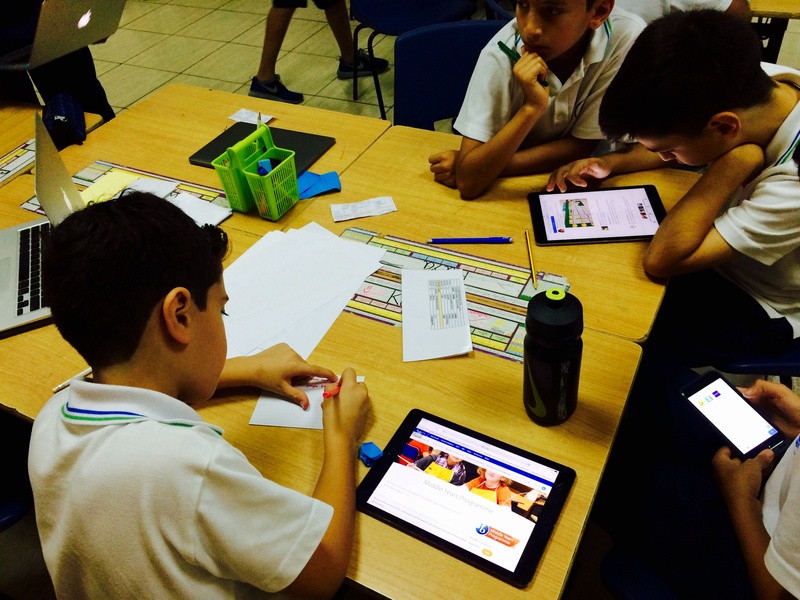 In addition to feedback, this time we wanted to collect some data about the learning that took place as well and specifically how it contributed to our School Improvement Plan and PYP Action Plan. 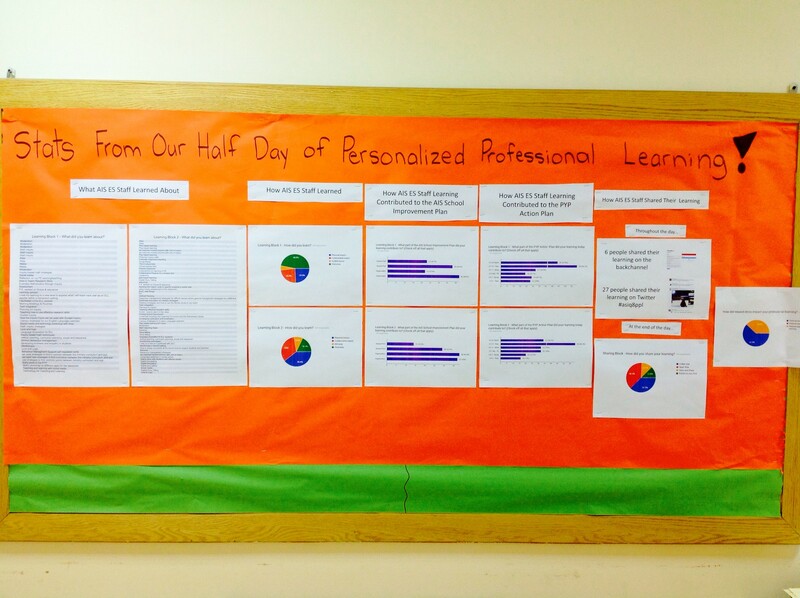 Once all the data was collected and organized, we made a display to ensure that our whole learning community could see the stats about our half day of personalized professional learning. All in all, I think it was a success! 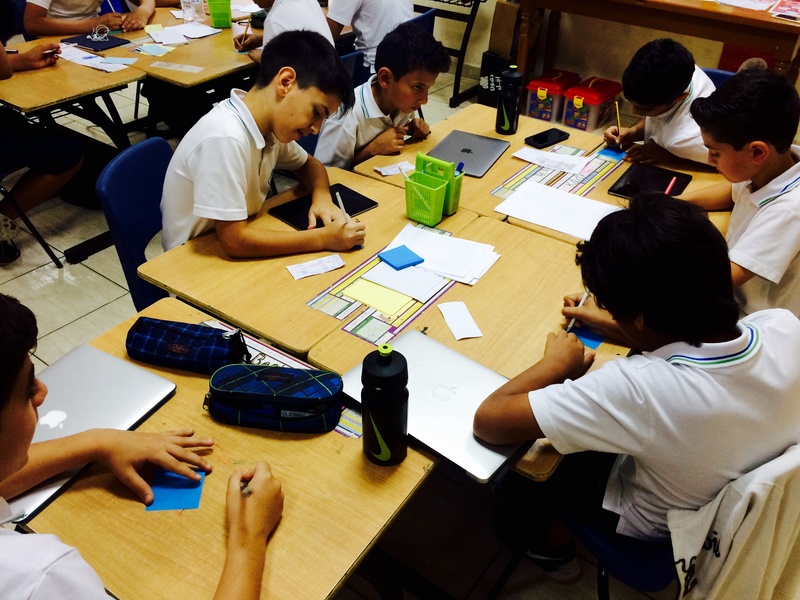 It felt good to find the synergy between having all learners learning towards to a standard collection of goals, but allowing them to do it in a way that was relevant, significant, challenging and engaging for each them as individual learners. Again, we received an overwhelming positive response to our half day of PPL. When learners are thanking you for letting them learn and asking for more and longer opportunities to learn, hopefully that means we’re on the right track! We still have lots of room to grow, so we would love to hear your thoughts and feedback on our model of Personalized Professional Learning!